Renewable energy is making coal redundant in Germany – so why are lignite plants still being held as a reserve? The costs of keeping them on standby are massive, and the emissions are even worse. L. Michael Buchsbaum takes an in-depth look. In early March, German coal fired plant operators Steag and Enervie announced they will close three more lignite burning units with a combined capacity of 817 MW. These announcements came on top of the recent shuttering of three other Steag units (Voerde 1 and 2, and Herne 3) that were also recently determined to no longer be system-critical and came offline in 2017. Additionally, Steag announced that it will mothball its 195 MW Voelklingen plant in the Saar region from April through September both this year and next due to falling demand. All these decisions were reviewed and approved by grid regulators who deemed the plants redundant. Germany now has so much renewable energy coming on line that keeping older coal fired power plants running no longer makes any economic sense. Simultaneous to reduced operating margins for lignite, output from hard coal burning plants is also increasingly falling, down another 16% in 2017 according to Platts. Put simply, despite February’s recent cold snap, coal power is increasingly proving unnecessary to maintain grid stability. But as more older dirty lignite coal plants go down, another question needs to be addressed by Germany’s new coalition government. Why are hundreds of millions of Euros in taxes being spent annually to maintain a 2.7 gigawatt lignite reserve—especially when that reserve hasn’t ever been tasked with generating electricity? In early March, several publications reported that the controversial security standby lignite power plants have yet to be called into service. Nonetheless, power plant operators are to be paid at least 234 million euros in 2017 and 2018 to keep them at the ready. This decision is the result of a 2015 compromise with utilities designed at the time to reduce CO2 emissions from the power sector while ensuring grid stability. Three years ago, a plan was accepted to put roughly 13% of the nation’s lignite capacity (at the time) into temporary security standby for a period of four years, and then shut them down permanently. However, since then so much cleaner generating capacity has come on-line that it is virtually impossible that the mothballed lignite plants will ever be required to operate again. Moreover, while lignite is cheap, it is far more pollution-laden than hard coal. Adding insult to injury, many of Germany’s hard coal plants are newer, more efficient, and have more pollution controls than the mothballed plants—and they are designed to ramp up generation quickly. These plants, which have untapped capacity, would provide a cleaner back up in case of weather events or other operating emergencies. By contrast, the older lignite plants were engineered only for continuous operation. If they are actually pressed into service, during the ramp up and down period they are even more inefficient from an operator’s perspective. 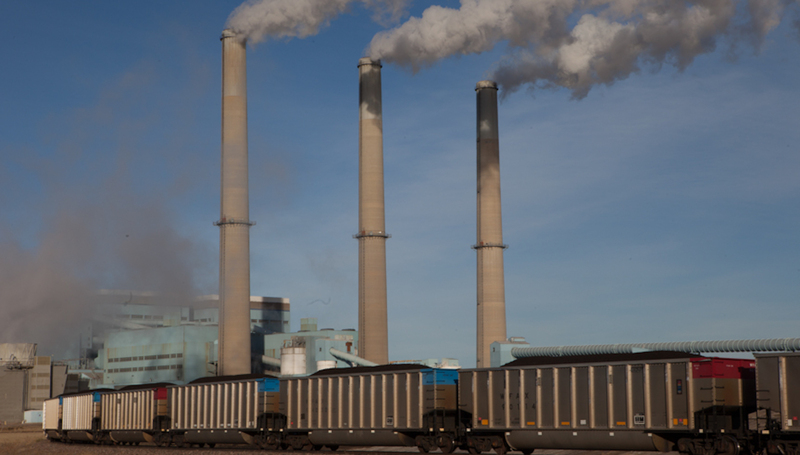 They require more coal as they fire up and convert even less heat into energy during that time, resulting in a spike in emissions on the way up and down. So what is happening at these now-idle lignite plants? According to the Frankfurter Rundschau, virtually nothing. Five people remain employed around the clock in the control room of the old Buschhaus plant, the first to have gone into this reserve, as they wait for the call that their plant will need to be turned on within eleven to fourteen days. How they keep themselves awake is an open question, since they don’t really expect to be tasked with turning the plants on again. Since Buschhaus went into the reserve, seven more units have been slated to follow its rather quiet footsteps. Though the government expects that putting these lignite plants into a strategic reserve will reduce overall CO2 emissions by 11 million to 12.5 million tonnes by 2020, that’s only the case if the plants are never used. Either way, the utilities will be paid handsomely for lost profits while their plants site idly on standby. Critics warned long ago that the lignite reserve would just become a life-support system eventually costing consumers at least two billion euros. Rate payers are simply paying off “the coal industry with hundreds of millions of euros for doing nothing…while the federal government steps on the brakes regarding renewables,” said Oliver Krischer, deputy leader of the Greens’ parliamentary group in the Frankfurter Rundschau. Ultimately, of course, the costs for this standby electricity are being paid by regular citizens via network charges. The new German government has pledged to come up with a coal exit plan by early 2019, but the question remains: what role will the lignite reserve play going forward, and how long will consumers keep paying for power that most hope will never be generated? This article has been updated to reflect that Voerde 1 and 2, and Herne 3 are not lignite plants. Herne and Voerde were no lignite power plants but hard coal power plants. Indeed the ‘coal dole’ is a scandal. The big question to which I don’t find an answer to in this article is: why?